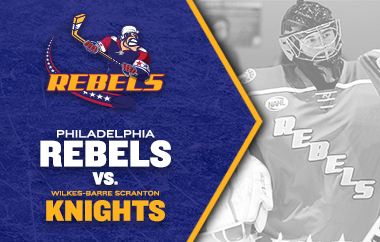 I am receiving free tickets to the Philadelphia Rebels game in exchange for sharing this information with you. While I love sports, I get bored watching them on tv. I have always been like that. Maybe because it doesn’t hold the same excitement. I can not sit through a Phillies game on tv, but I love going to see the Reading Phillies. The girls, Don and I have a great time. 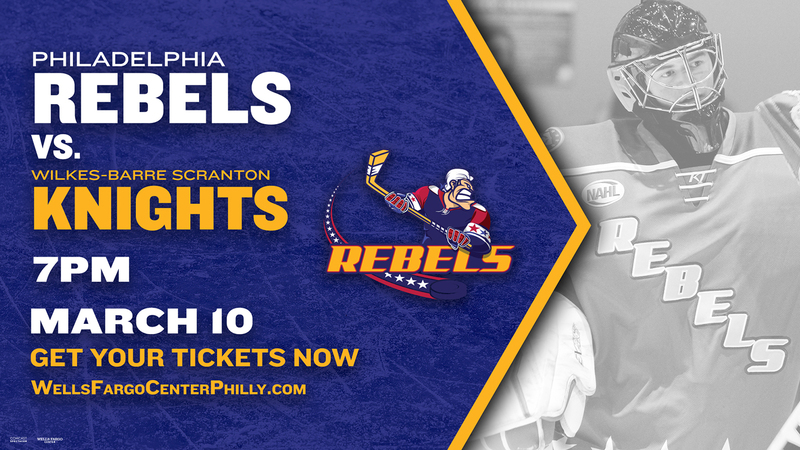 That’s why I am so excited to see the Philadelphia Rebels play this weekend at the Wells Fargo Center. The Philadelphia Rebels is one of the few teams who will have the honor of playing a regular season game in a NHL venue. Philadelphia is known for its association with youth hockey. Head coach Joe Coombs has built a tier-II junior hockey powerhouse over the past two years. Last season, the Rebels finished with the NAHL’s best regular-season record, advancing to the championship game of the Robertson Cup in Duluth, Minnesota, where they came up short in a 2-0 loss to the Lone Star Brahmas. The game on March 10th, will include nine student athletes from the tristate area. Suiting up for the Philadelphia Rebels will be Christian Juliana (West Chester, PA), Jordin Holmes (Willow Grove, PA), and Aaron Maguyon (Margate City, NJ). Local student athletes from the Wilkes-Barre/Scranton Knights include Michael Morissey (Bethlehem, PA), Matthew Kidney (Middletown, NJ), Mike Gelatt (Middletown, NJ), Anthony Firriolo (Towaco, NJ), Paul Cimilluca (Colonia, NJ) and David Tomeo (West Caldwell, NJ). There is only one way to see the game. Tickets are on sale now exclusively through WellsFargoCenterPhilly.com or by phone at 1-800-298-4200 or in person at the Wells Fargo Center box office.